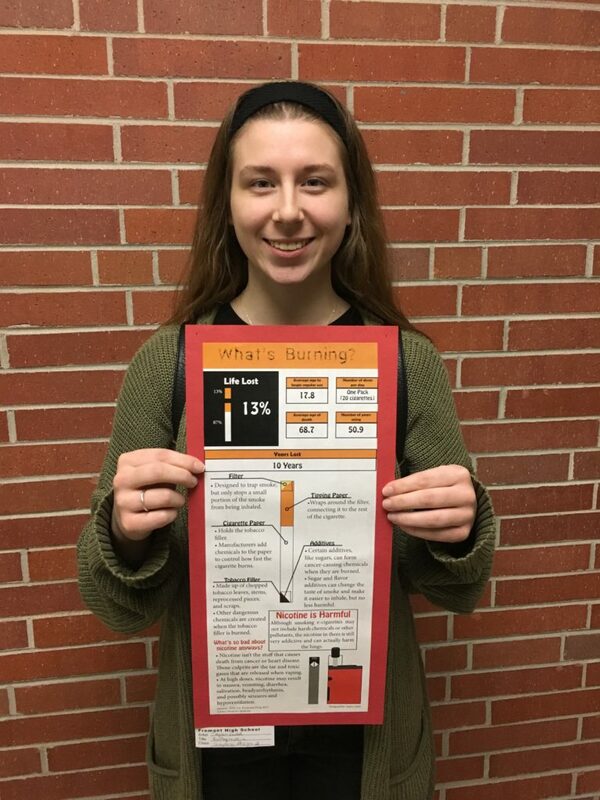 Several Fremont High School students were recently awarded by the Nebraska Education Technology Association for their graphic design work. The students participated in an annual contest offered in the spring for K-12 students in the Midwest Region. Categories of the contest include Digital Images, Interactive Media, Video, Audio and Infographics. 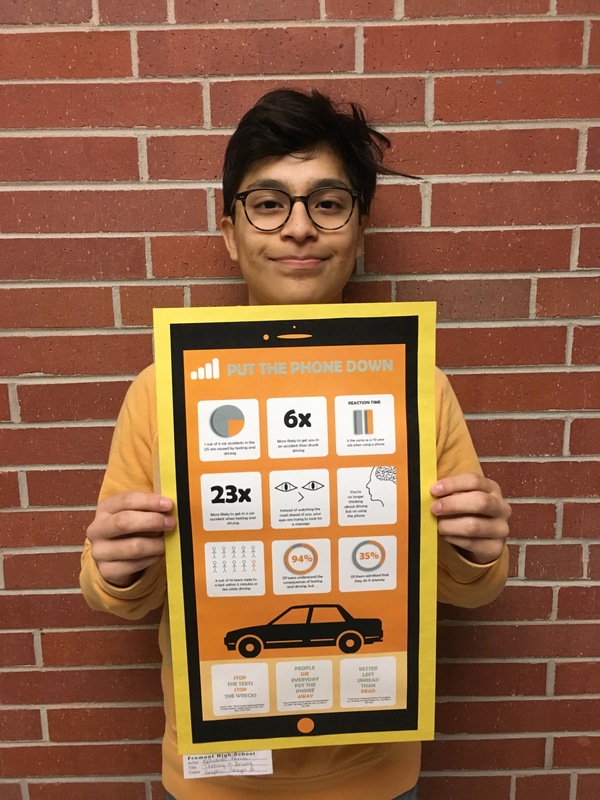 The three students — Eduardo Parra, Oscar Avila, and Taylor Ladd — took the top three spots respectively for their work creating infographics focused on social issues like texting and driving and cigarette smoking/vaping. 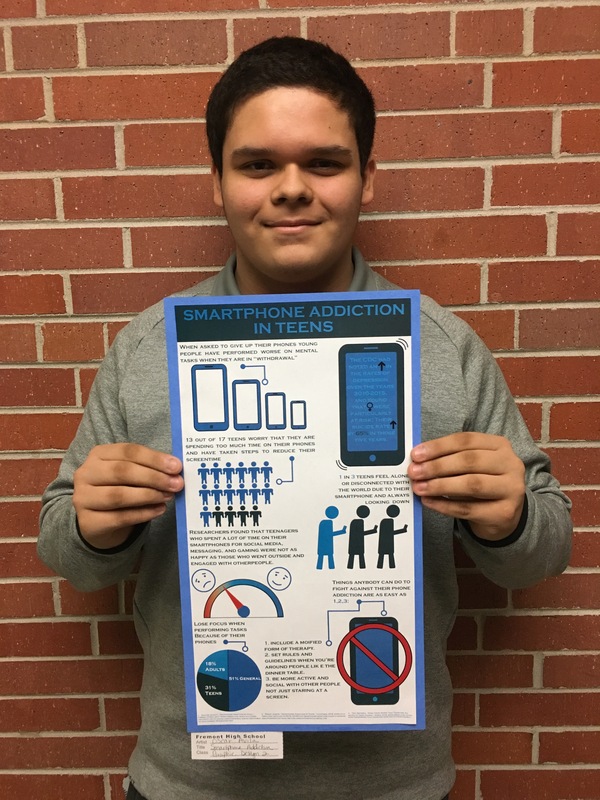 The students completed their infographics as part of a Graphic Design II class taught by Kristen Strickler.